The Klondike Winter Games were being held in the mountains of Colorado northwest of Boulder at Camp Tahosa. The Boy, being in his first year of boy scouts (he started late), didn't know what the Klondike was. He just knew they were going on another winter campout. "During the day, Patrols/Dens will participate in events, some old and some new. The events have been designed to test Scouting skills, mentally and physically. All the events will be timed unless otherwise noted. There also will be special hats for the Boy Scout Patrol, winning the "King of the Klondike" award. " The week before, they heard the campgrounds were covered in mud. Well, the weather can change quickly in Colorado. 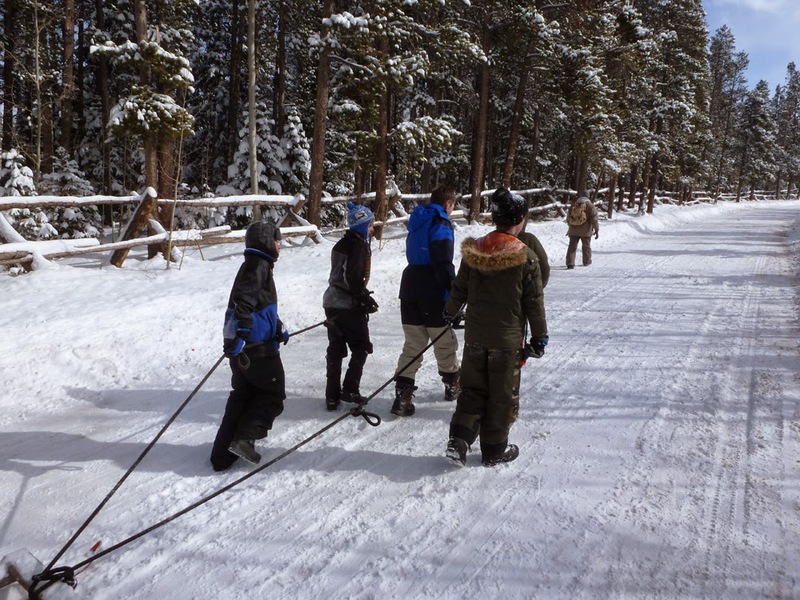 By the time the boys got to Camp Tahosa, there was probably a foot of snow covering the ground. I don't know what went on during the Klondike. The Boy did have a great time and came home with so many stories to tell - mainly about the snow and the cold, cooking and having the water bottles freeze. As a bonus, the temperature dropped below zero during the night so all the campers were able to earn their Polar Bear Club patch.